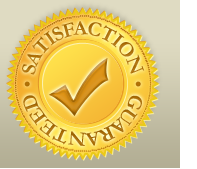 Sommers' Carpet Care floor cleaning technicians have been professionally cleaning floors in Oswego IL for years. Our trained floor cleaning technicians came from the Bane-Clene Institute in Indianapolis. The floor cleaning college for professionals that want to do it quickly, safely, and effectively so that the customer is always satisfied with their floor cleaning, furniture cleaning, or carpet cleaning. Most of our floor cleaning business in Oswego comes from repeat customers who were happy with the results of their last cleaning and have just soiled their floors or furniture again. Performing regular floor cleanings, apolstery furniture cleaning, or carpet cleanings not only cleans and sanitize but also prolongs the life of the material as well. At Sommers' Carpet Care, we use the safest cleaning solutions we can so that your floor cleaning leaves your home fresh and conditioned for long lasting traffic. The Bane-Clene floor cleaning method is widely used in many different countries around the world and we are using it right here in Oswego to get the best results possible. Our floor cleaning equipment is specifically designed to clean the floor hard surface floors and not damage any of the underlayment that the floor may rest on. Since Oswego is a plain land based town, meaning flat without obstruction for wind, there is dust and wind almost everywhere. If you have a door or window in your house, dirt will get in. The floor cleaning buffer and carefully constructed steam jets works miracles on soiled floors and furniture all around Oswego. Although carpet actually catches and restrains allergens and other pollutants from around the Oswego area, especially pollens and possibly spores, hard surface flooring is easy to clean and maintain while giving off very little dust or dander itself. Therefore, people who suffer from allergies are may be better off with hard surface floors in their houses over carpets to avoid potential allergens in the home. If you would like to check out our words about Bane-Clene, their website is www.baneclene.com. Be our guest! Floor cleaning in Oswego is availble from Sommers' Carpet Care for vinyl, laminate, hard wood, engineered hard wood floors, tiles, and more. Floor cleaning will make your floors look like new as well as eliminate stains, odors, and actually prevent bacteria growth while eliminating any current unfriendlyness.